Colorado's sweetheart city is Loveland; it's along the Big Thompson River and near Berthoud, Evans, and Greeley in North Central Colorado. Plan today: stay at an RV Park or campground or in a vacation cabin. Loveland, Colorado was named after William Austin Hamilton Loveland, a prominent early Coloradan. As president of the Colorado Central Railroad in 1877, Mr. Loveland decided to route an expansion along the Big Thompson River and Loveland grew from there. From its origins as a small cluster of farm communities along the Big Thompson River, the Loveland area has grown into one of Colorado's most exciting regions; offering plenty of outdoor recreation opportunities, rich historic sites, casual and fine dining, outlet malls and shopping districts, and evening entertainment, there's plenty of fun for everyone! Boyd Lake State Park is a 1,700-acre modern water sports facility offering boating, fishing, camping, picnicking, swim beach, hiking and biking trails, and hunting. Located on the northeast end of Loveland, this lake was made for fun. Outdoor enthusiasts love Loveland's proximity to great fishing, rock climbing, and hiking and biking trails. Popular nearby spots include Pawnee National Grassland to the east and Rocky Mountain National Park 35 miles away along US Highway 34; this scenic drive is through the breathtaking Big Thompson Canyon offering scenic views and plenty of wildlife to watch -- including big horn sheep and elk. Closer to town, visitors to Loveland should visit the city's well-preserved historic downtown, which includes the beautiful Rialto Theater Performing Arts Center and the city's history museum. 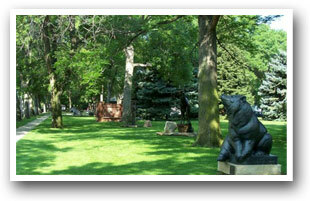 Be sure to stroll through town and check out Loveland's multi-million dollar collection of bronze sculptures. For those looking to shop, there is a factory outlet mall at US Highway 34 and I-25 between Loveland and Greeley. 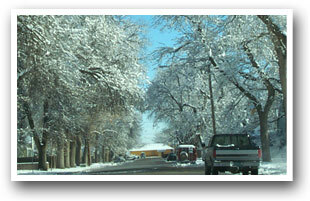 Greeley, Colorado is near the meeting place of the Cache La Poudre and South Platte Rivers east of Loveland on Highway 34. Cattle and crops have been the moving forces behind the economy since the 1870s. The Greeley Stampede is one of the nation's largest outdoor PRCA rodeos. The Centennial Village Museum is an 'outdoor museum' depicting architecture and lifestyle of the early settlers from 1860 to 1920 with 32 buildings on 5-1/2 acres. Pawnee Pioneer Trails Scenic Byway is the same path Colorado's early Native Americans (indigenous people) and settlers traveled as they came west. This 125-mile route runs through northeast Colorado's rolling prairies and offers stunning views of the 250-foot-tall sandstone Pawnee Buttes. Pawnee National Grassland is 60 miles East of Greeley; take Colorado Highway 392, then turn right onto Colorado Highway 14. Chalky bluffs and rock formations punctuate this prairie grassland, the setting for James Michener's "Centennial." 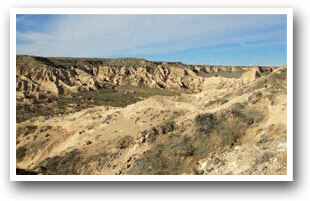 Popular activities include hiking, horseback riding, and trout fishing. Berthoud, Colorado was once promoted as "The Garden Spot of Colorado" to call attention to its tree-lined streets and fragrant hay fields. 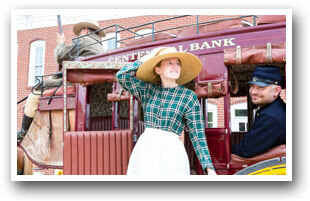 Today, Berthoud retains its small town feel with preserved historic structures and an active Historical Society. 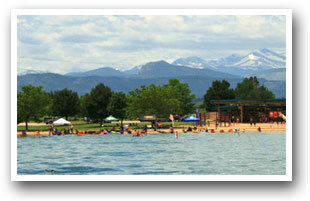 Recreation opportunities abound near Berthoud: Fickle Park is the centerpiece of Berthoud and is a great venue for a quiet lunch all year round; to the west is Carter Lake and Flatiron Reservoir; Roberts Lake offers vacationers a stocked pond with new fishing dock, walking path, and plenty of waterfowl; the Berthoud BMX Track is open for practice every day during daylight hours; the Little Thompson Observatory helps people of all ages learn about the universe by offering a first-hand experience with astronomy; the Little Thompson Valley Pioneer Museum brings Berthoud's heritage to life with an array of exhibits. The distance from Greeley to Berthoud by way of Loveland is 27 miles; each town is easily accessible from Interstate-25. 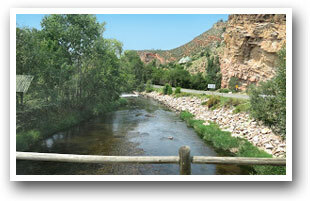 Loveland is at the Junction of US Highways 34 and 287 along the Big Thompson River. From I-25, take exit 257 (US Highway 34 West). Greeley is near the Colorado-Wyoming Border just east of I-25 at the junction of Highways 34 and 85. From I-25, take exit 257 (US Highway 34 East). Berthoud is between Loveland and Longmont on Colorado Highway 56; from I-25, take exit 250 West toward the Rocky Mountains. Commercial air travel accommodations are handled by Denver International Airport (DIA). Please contact your preferred travel agent or airline for flight arrangements. Loveland is 68-miles north of Denver International Airport.